Clean Paws Every Day. Best Grass For Dogs To Play! Dog playing on artificial grass on sunny day. Dogs love to play in the dirt, and as much as we love them, we have a different attitude towards cleanliness. Dogs mark their territory. Rolling up in mud is their way to show you what they've been up to. For humans, living in an organized environment helps to stay in shape and be more active and healthy. Can you mitigate the differences? Is your lawn going to the dogs? Muddy yard and ankle-twisting craters are just two of the issues that frustrate dog lovers. 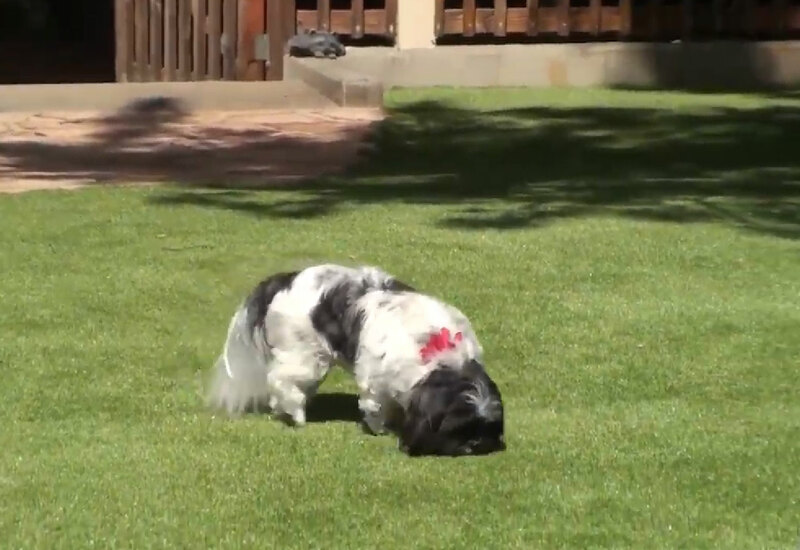 There are a few reasons why with getting a pet turf you can reclaim your backyard and make your dog a little extra happy. 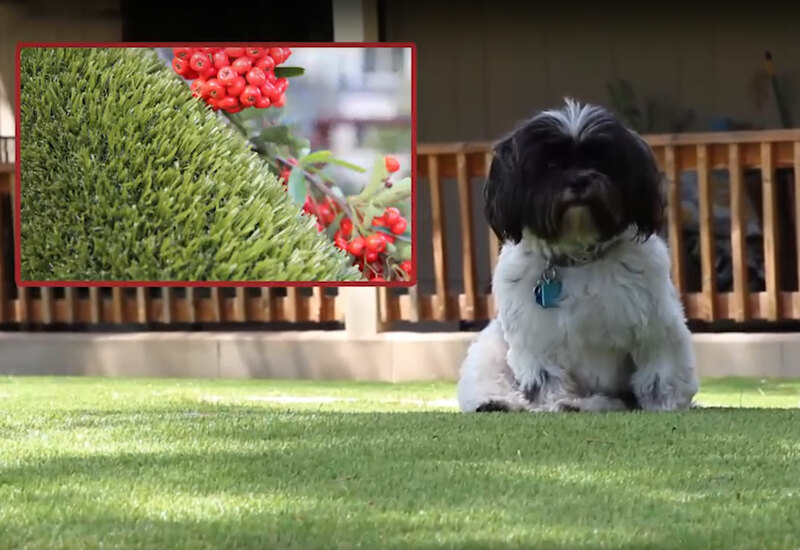 What Is the Best Artificial Grass for Dogs? As much as you love your dogs, they can be tough on the lawn. Between bare spots from digging, kicking and rolling, dead grass from urine damage, a well-groomed backyard and your best friend's happiness are mutually exclusive. 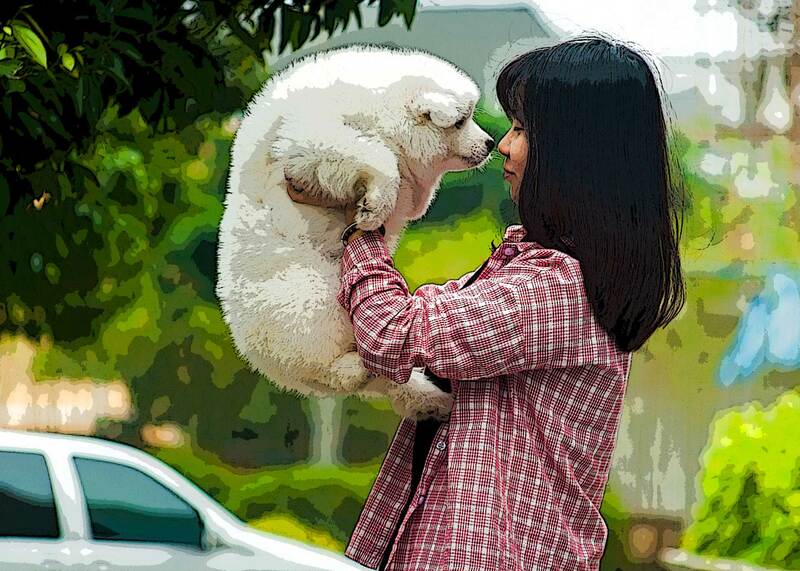 However, a playful pup doesn't have to be a reason to scrutinize your home resale value. Choosing a grass that can withstand use and abuse is your best bet to keep everyone happy and sound. Dogs love to play dirty, but we like to stay clean. It's a constant battle between love and responsibility. 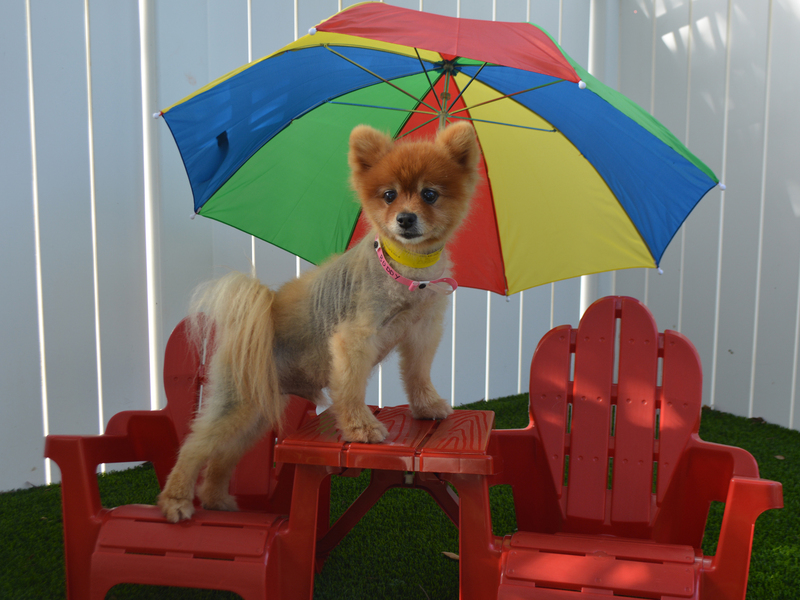 Keeping your furry friends healthy takes a bit more than we anticipate, especially when there is a backyard. Many pet lovers chose artificial grass because it does it all; saves money on lawn maintenance, and sustains pet's wellbeing. 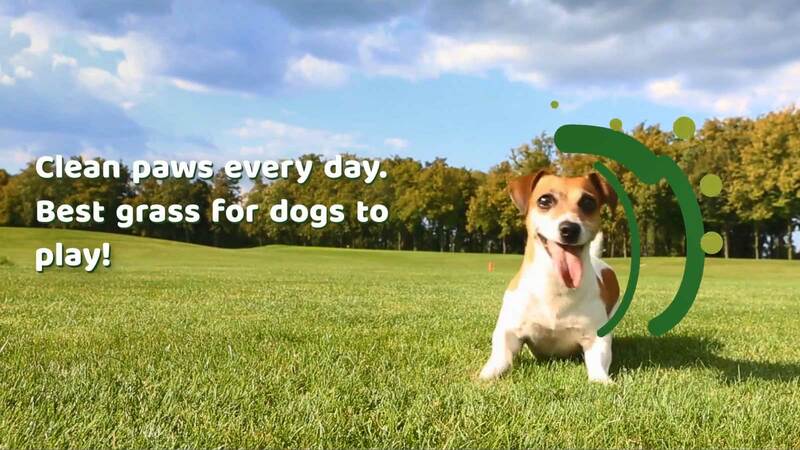 Artificial Grass Flo-Rite-Thru technology offers a perfect drainage ideal for pet areas. As a valuable solution for pet lovers, artificial grass for pets requires more than typical drainage capacity. 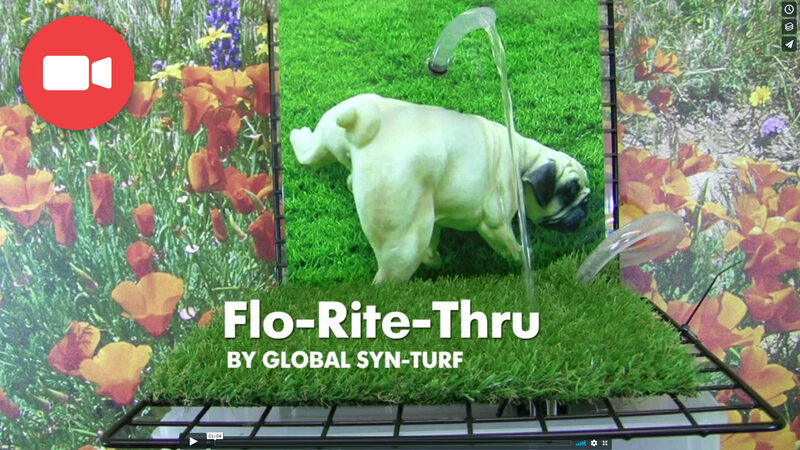 Flo-Rite-Thru technology developed by Global Syn-Turf brings an entirely new standard to the world of our fluffy friends while keeping a beautiful, maintenance-free lawn to be proud of. Global Syn-Turf's Artificial Grass is Da Bomb! 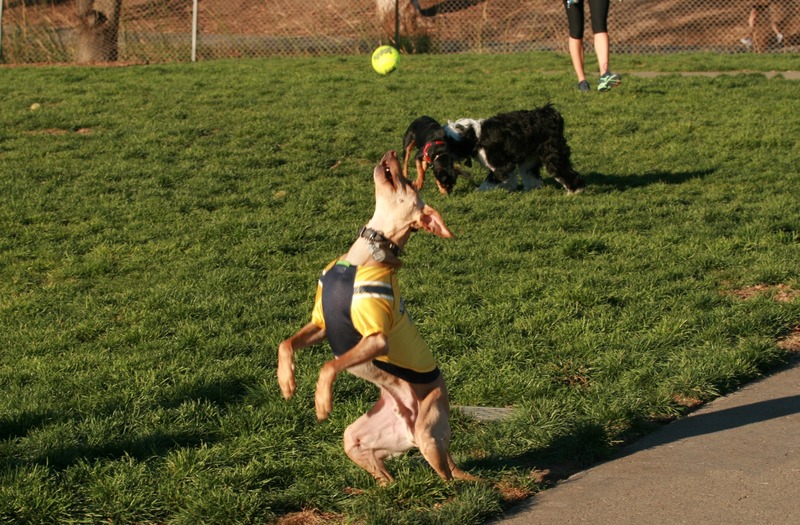 Whether you have a whole pack of poodles or just one dog, dog runs are useful, and your hairy friends will enjoy playing and running around in them. There are different types of dog runs, and when you decide what type of a dog run to use according to your available space and budget, make sure that you have a pretty good idea what dog run is and how you can employ it.